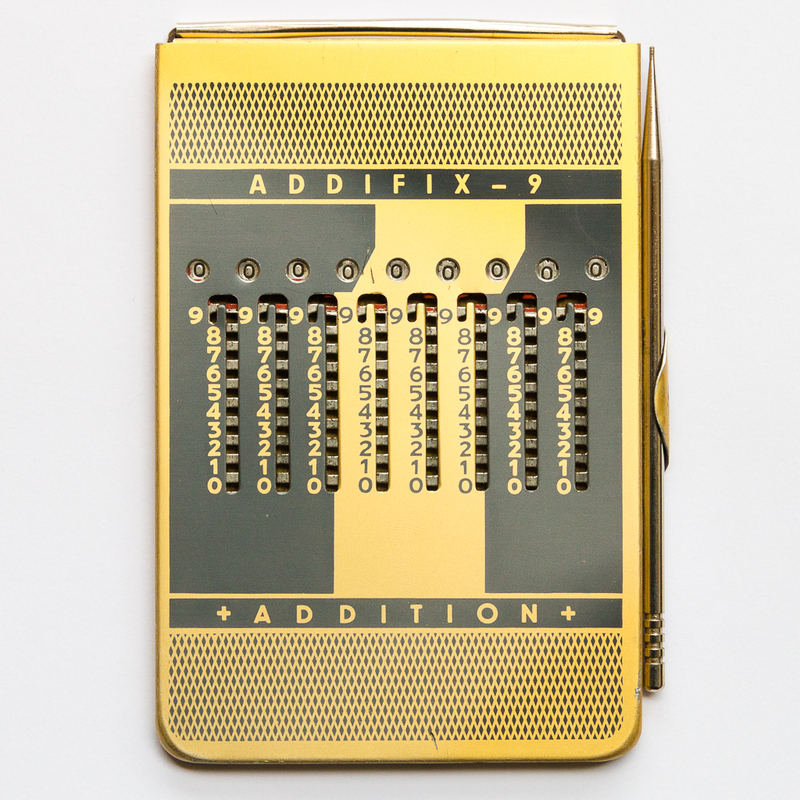 While trying to explain the meaning of the carry digit during addition an subtraction to my oldest son, I’ve given him a nice little device to play with: the Addifix-9 number cruncher. In the 1950s/60s The Addifix series was sold as “Addifix-9 Taschenrechenmaschine” by the German mail-order company Neckermann. Its predecessor was the Addiator from Carl Kübler which was sold since the early 1920s [Source: sliderulemuseum.com]. The underlying mechanical principle is quite old (an documented example is the mechanical calculator by Claude Perrault from the 17th century). The Addifix is a pocket-sized (13 x 9 cm) slide adder that can be used from both sides – one side for addition and one for subtraction. The slides (one for each digit) are handled with a metal stylus. 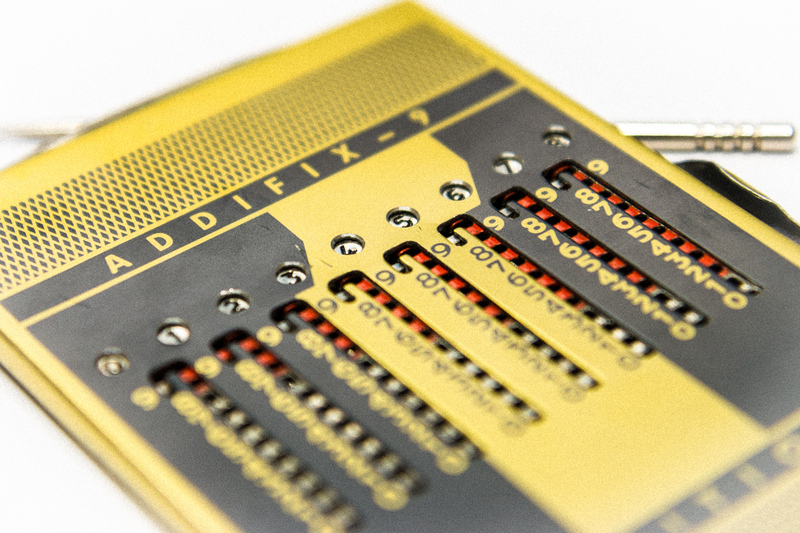 I recently rediscovered an old hand computer, which was in my desk drawer for ages: an Addifix-9. The Addifix was sold in the 1960s by a no longer existing German mail-order company called Neckermann. (Well: actually the brand Neckermann still exists, but under a new owner.) 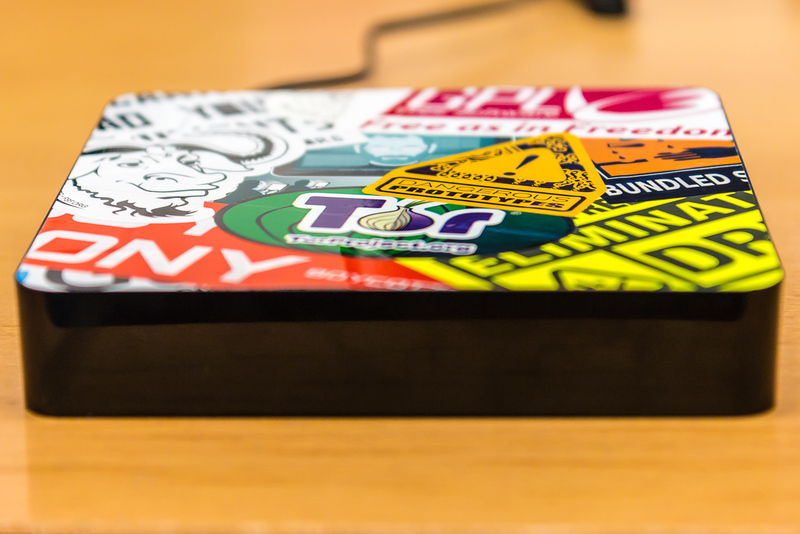 A stylus is used to make additions on the one side, and subtractions to the other. A video demonstrating the calculator is included in a newer post.